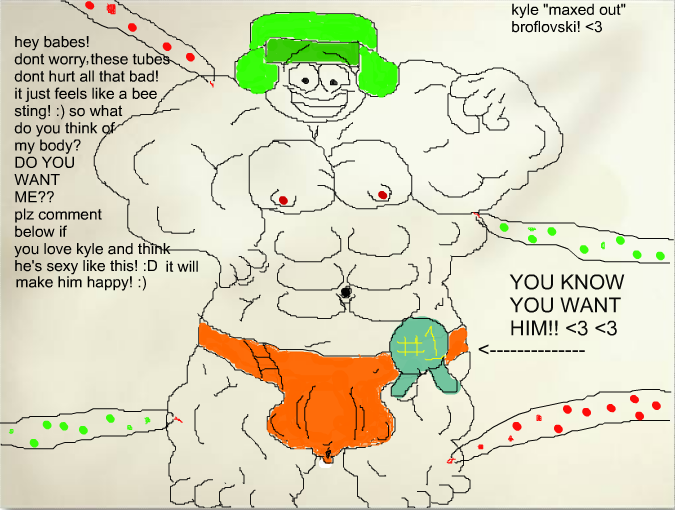 MAXED OUT kyle broflovski! muscle growth pic 2. there is my little jew again दिखा रहा है off those huge muscles and posing that hot jewish body! :) the only thing different here is he is hooked up to two different growth formulas. MAX formula, and regular growth! :D he's bigger and hotter than before!. 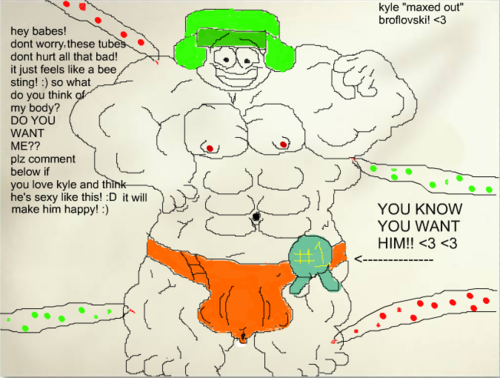 Wallpaper and background images in the साउत पार्क club tagged: south park kyle broflovski max growth cute sweet posing bulging body. there is my little jew again दिखा रहा है off those huge muscles and posing that hot jewish body! :) the only thing different here is he is hooked up to two different growth formulas. MAX formula, and regular growth! :D he's bigger and hotter than before! This साउत पार्क fan art might contain मोबाइल फोनों के लिए, हास्य पुस्तक, मंगा, कार्टून, एनीमे, कॉमिक बुक, and manga.